The classic train and track with a twist! Press Choo Choo's funnel and watch the little train move across the track with choo cho sounds and whistle. Then twist and click the the track to make a loop and watch the train go round and round in the wheel. 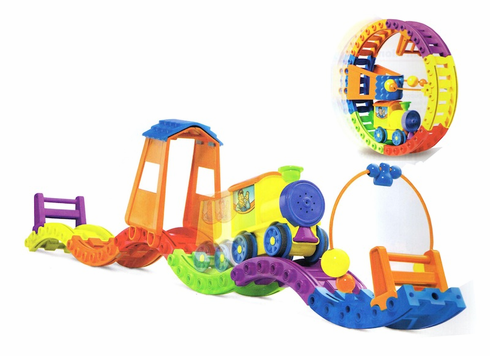 Features removable tunnel and bufers to make Choo Choo reverse directions. AAA batteries not included.